A combination of fine cleaner and wax. This product is perfect for the volume detailer when a very mild cleaning is required and quick turnover is desired. 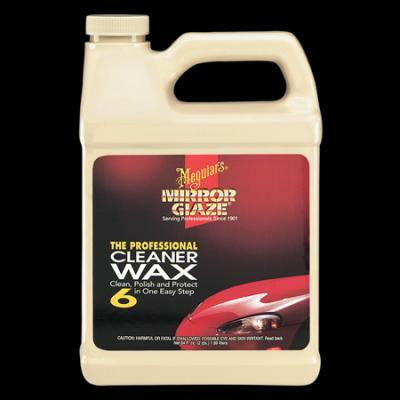 Meguiars calls this product an "non-abrasive" cleaner/wax. The point made is that it will leave no marks behind. This product can be thought of as a blend of M02, Fine Cut Cleaner, and M26, Yellow Wax, although they have not told the Doctor how they do it.